Product categories of Presser Cooker, we are specialized manufacturers from China, Presser Cooker, Aluminum Pressure Cooker suppliers/factory, wholesale high-quality products of Copper Pressure Cooker R & D and manufacturing, we have the perfect after-sales service and technical support. Look forward to your cooperation! Pressure cooking is the process of cooking food, using water or other cooking liquid, in a sealed vessel, known as apressure cooker. 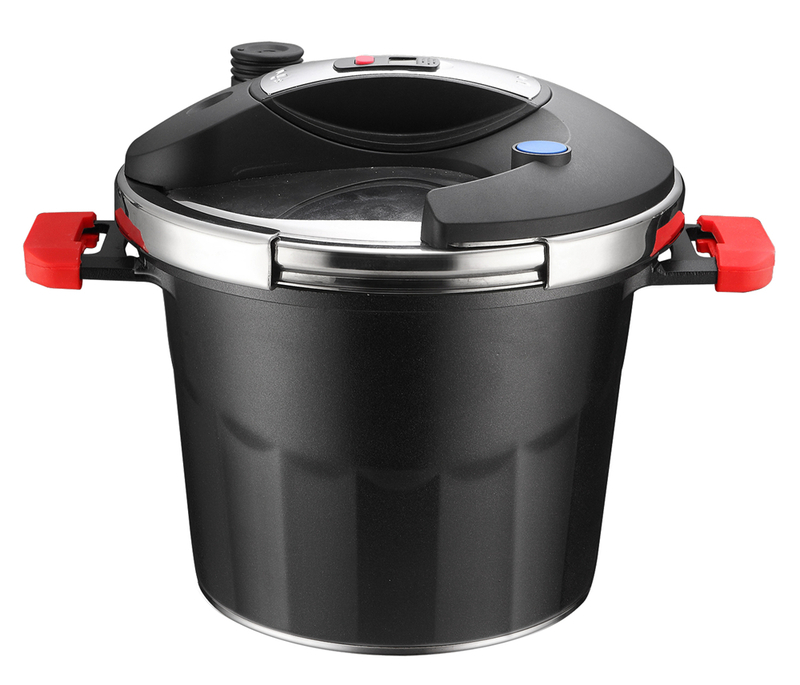 As pressure cooking cooks food faster than conventional cooking methods, it saves energy. Pressure is created by boiling a liquid, such as water or broth, inside the closed pressure cooker. The trapped steam increases the internal pressure and allows the temperature to rise. After use, the pressure is slowly released so that the vessel can be opened safely.